Nourish your skin with products that are not only great for your skin but the earth too. 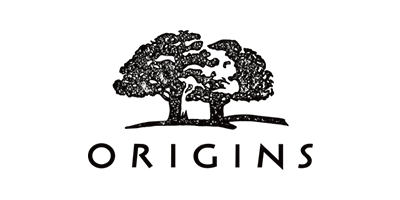 Origins are known worldwide for being the leaders in organic, botanical beauty products. They create premium skincare tailored to your specific needs and skin type using essential oils and all-natural ingredients. Nature and science creates happy skin, which is why all products are consciously formulated using only the highest quality plant, earth and sea ingredients combined with safe, non-toxic alternatives and advanced science. Origins are different because they think about every product they use – the benefits, where it’s from and how it’ll impact your skin, which is why all products are only made with good stuff. Plus, all products are free from parabens, phthalates, sodium lauryl sulphate, propylene glycol, mineral oil, DEA, petroleum, paraffin, polyethene, formaldehyde and animal ingredients. Now you can get skincare that will improve your skin's health, radiance, elasticity and complexion, whilst protecting the environment.